Single Tenant NNN Lease, 6.5% Cap Rate. Zero landlord responsibilities, four 5-year options to renew, 1.5% annual rental increases. Seasoned Wendy's franchisee. Guarantor is Pennant Foods Corp.
Single-Tenant NNN Lease, 5.5% Cap Rate. 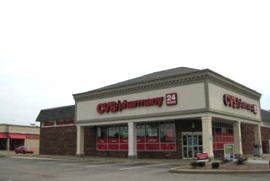 24-hour CVS, located near international airport, drive-through service. Over 21 years of term remaining on lease. Single-Tenant NNN Lease, 4% Cap Rate. 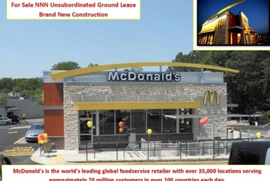 Absolute net leased ground position leased to McDonald's USA, LLC., which operates all franchise restaurants in the United States. Operates as a subsidiary of McDonald's Corp, Standard and Poor's "A" Rated. 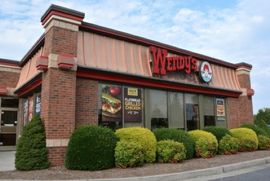 Single-Tenant NNN Lease, 6.4% Cap Rate. 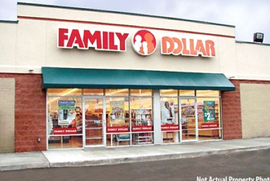 New 10-year NNN lease with Family Dollar, Inc. Six 5-year options. Newly constructed 9,180 SF building on a 42,688 SF parcel. Absolute NNN Lease, 6.5% Cap Rate. 3% annual escalations, zero landlord responsibilities. 10-year lease with two 5-year options. 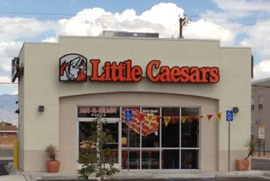 Currently leased to the nation's largest Little Caesars franchisee, Sizzling Caesars. Property is a brand new development. Expected delivery date of the property is November 20, 2014; expected rent commencement date is February 1, 2015. NNN Lease 6% Cap Rate. 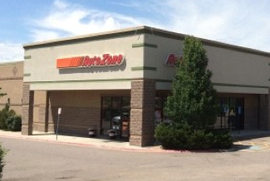 Two-tenant free-standing building with long-term leases to national credit tenants. AutoZone has more than ten years remaining on its original 20-year lease; Sherwin Williams has more than five years remaining on its lease after recently exercising its first of four 5-year renewal options. Landlord responsible for roof, structure, and parking areas. Landlord pays most operating expenses and is reimbursed by tenants; landlord has the right to charge a 15% management fee.